The sentencing of former Virginia first lady Maureen McDonnell has been delayed for one month. In a filing with U.S. District Court in Richmond, McDonnell sought a sentencing hearing of Feb. 16 instead of Jan. 6, when one of her attorneys is scheduled to begin a jury trial. A judge granted the request Friday. Former Gov. Bob McDonnell and Maureen were convicted in September of performing "official acts" to promote former Star Scientific Inc. CEO Jonnie Williams' dietary supplement products in exchange for more than $165,000 in gifts, trips and loans. 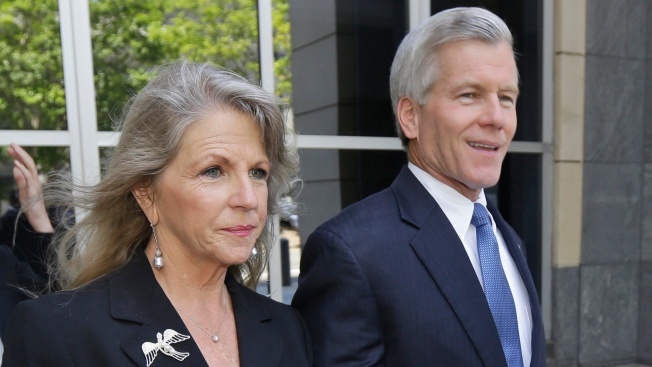 Maureen McDonnell was convicted on nine public corruption convictions; her husband was convicted on 11 counts. His sentencing is scheduled for Jan. 6.